The meeting saw representatives of the ministries of foreign trade and agriculture, the Holding Company "Uzbekoziqovqatholding", JSC "Uzbekenergo" and "Uzbekneftegaz". Minister of economy of Uzbekistan Botir Khodjaev received a delegation of the Russian Federation headed by Minister of economic development Maxim Oreshkin on August 24. 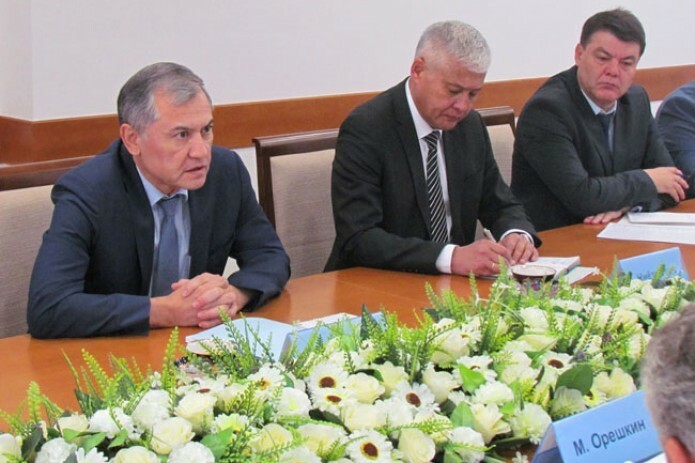 Speaking about the prospects of cooperation between Uzbekistan and Russia, Botir Khodjaev drew the guests ' attention to the mutually beneficial results achieved in the framework of economic cooperation. The parties also exchanged views on promising investment projects jointly implemented in the regions of the country. They also discussed the organizational issues of the Uzbek-Russian economic forum, which is to be held in Tashkent this autumn.